NYU Medical Center built two new chiller plants in the last seven years. The ever-increasing energy costs and requirements of NYSERDA forced the center’s energy services group to review the facility’s performance and optimize performance. 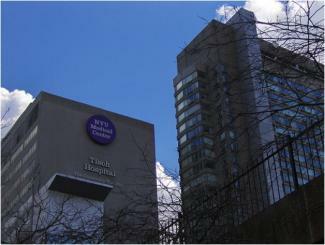 NYU Medical retained WM Group Engineers to improve the performance of its chilled-water system. As part of a feasibility study, WM Group conducted a detailed survey of the site’s chilled-water generation, distribution and utilization system. All chilled-water plants were primary/secondary pumping system with booster pumps. WM Group performed hydraulic analysis and determined the system could be converted to a virtual central variable-volume system by removing more than 20 pumps and reducing power peak demand by 700 kW. A $600,000 grant from NYSERDA supported the system conversion to a variable-volume primary system. Additionally, the analysis determined bottlenecks in the distribution system, and a second project was chartered through NYSERDA to remove those bottlenecks.